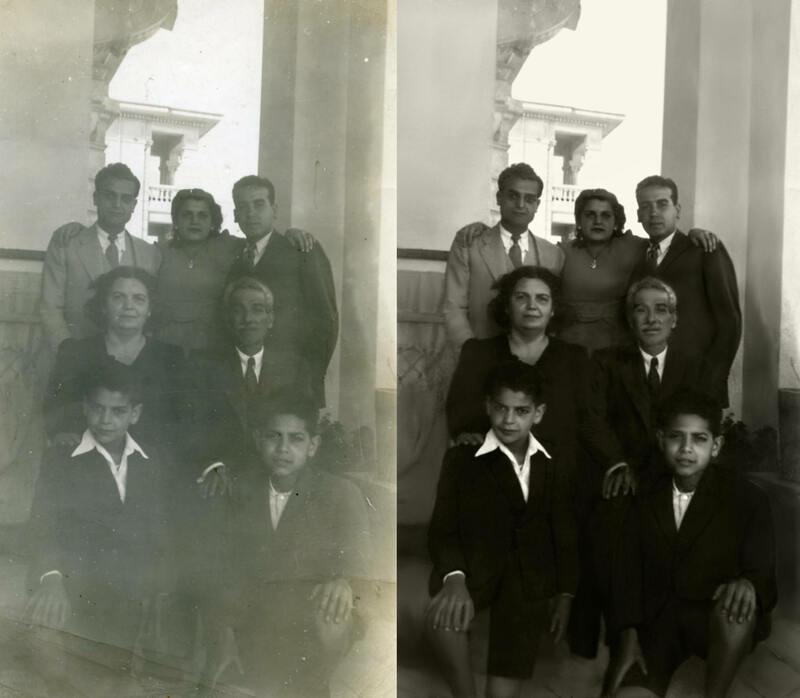 Photo restoration is an exciting part of our work, we’ve posted some examples here. 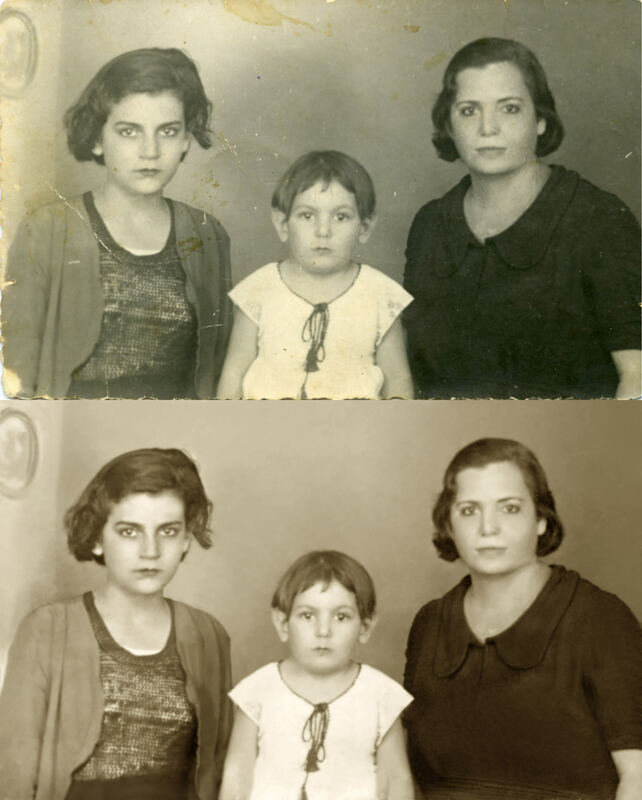 To expand on what’s involved in photo restoration, we will show some examples of ‘light’, ‘medium’ and ‘heavy’ restoration. Today we will start with an example of ‘light’ photo restoration. Light photo restoration doesn’t refer to the colour of the photograph, but rather to the amount of work needed to restore the image. In this case, there isn’t much work to be done so it would fall into the category of ‘light’. To bring the photo back to life we had to restore the original colour, years of exposure to sunlight had faded the image and it looks like there is a fog or a haze over the entire image. By removing the haze we’re able to then restore the original colours and as a result make out people’s facial features. Of course we also fixed the small imperfections, there are a number of scratches and white spots on the original that we removed from the final print. These all have to be individually touched up. As you can see the restored photo has an exceptional amount of detail that you’re unable to see in the original scan. All of this was brought back to life via our restoration process. It’s no longer an old photo, the crispness of the image allows for the subjects personalities to shine through. 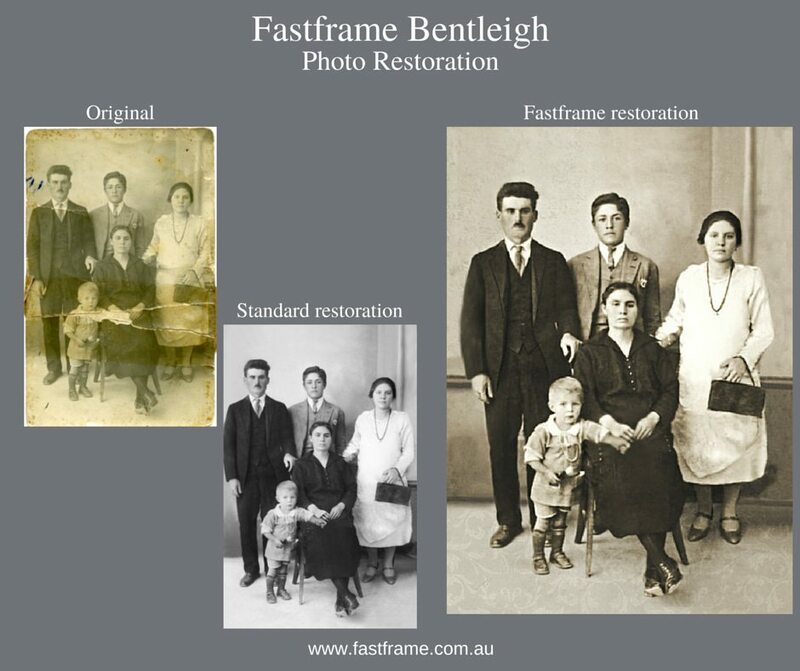 And that is what we like to do, bring your photo’s back to life. You also have the option to print the restored photo in sepia (a reddish-brown colour associated with monochrome photographs of the 19th and early 20th centuries) or black and white.